The role of Manganese in steel in our precision machining shops. Manganese ore like this comes from Turkey. Carbon is a chemical element that is the primary hardening constituent in steel. Manganese is a chemical element that is present in all commercial steels, and contributes substantially to a steel’s strength and hardness, but to a lesser extent than does carbon. The effectiveness of Manganese in increasing mechanical properties depends on and is proportional to the carbon content of the steel. 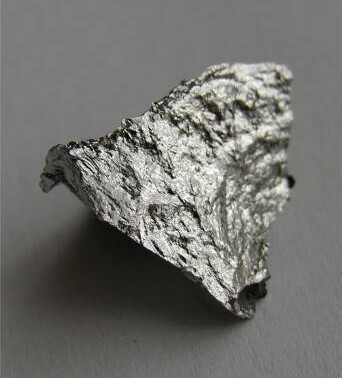 Manganese also plays an important role in decreasing the critical cooling rate during hardening. This means that manganese helps to increase the steel’s hardenability. It’s effect on hardenability is greater than that of any of the other commonly used alloying elements. Manganese is also an active deoxidizer, and is less likely to segregate than other elements. Manganese improves machinability, by combining with sulfur to form an soft inclusion in the steel that promotes a steady built up edge and a place for the chip to break. Manganese improves yield at the steel mill by combining with the sulfur in the steel, minimizing the formation of iron pyrite (iron sulfide) which can cause the steel to crack and tear during high temperature rolling. Manganese is an important constituent of today’s steels. Now you know a few reasons why Mn (the abbreviation for Manganese) is the second element shown on the chemical analysis report (right after carbon). This entry was posted on Tuesday, February 16th, 2010 at 5:06 am and is filed under Engineering, Shop Floor. You can follow any responses to this entry through the RSS 2.0 feed. You can leave a response, or trackback from your own site. We stand behind our post. Please, can you guide me how can I reduce Mn in casting if my scrape is more than 0.3 Mn. I wants to get 0.2 Mn to get ductile iron for manholes cover. You will need to find lower Manganese, higher Iron scrap or other raw materials to dilute the manganese to the level that you wish. thisis as much an economic and supply problem for you, as it is a technical one.